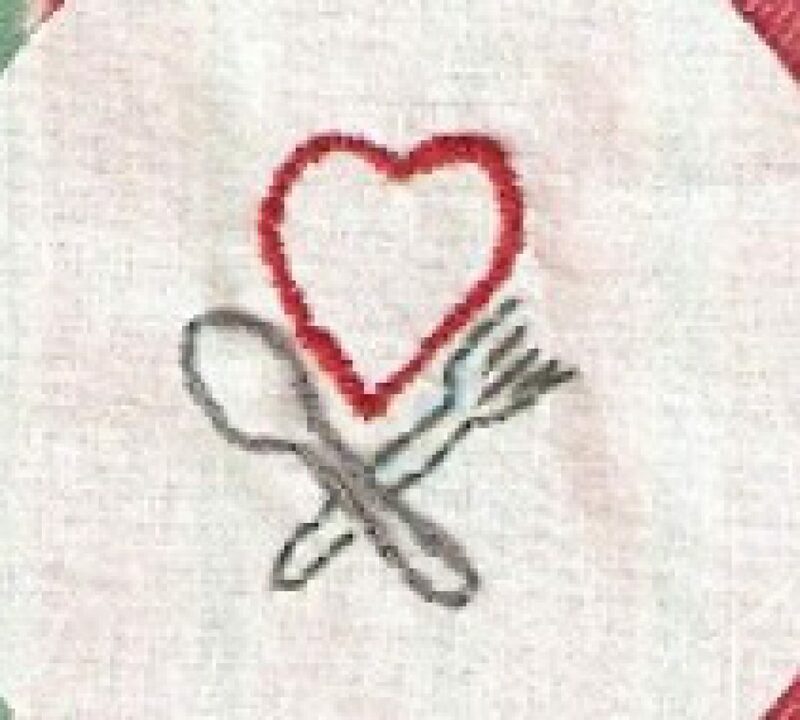 Cooking confessional- I had never cooked with polenta until a few months ago. I know this may seem crazy because I’d eaten it many times in restaurants, but I had never even thought about cooking it myself. 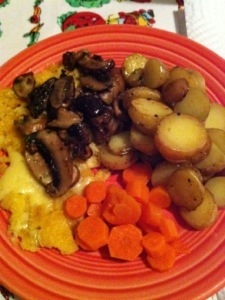 I found a recipe for cheesy polenta topped with simple sautéed mushrooms and decided to give it a whirl. 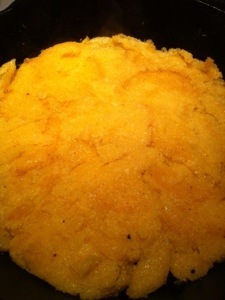 It was a weeknight dinner so I bought the pre-made polenta to make this easy recipe even easier. Slice the polenta a 1/2 thick. Add a table spoon of butter to the pan and melt over medium heat. 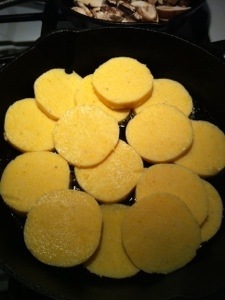 Add the polenta disks! 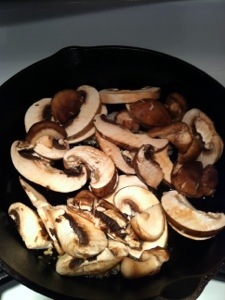 While your waiting for them to mush and turn golden brown, slice a handful (or a whole package) of baby portebella mushrooms and 2 cloves of garlic. Add two more tablespoons of butter to another pan and melt on medium to low heat. 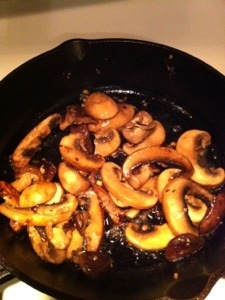 Once butter gets melty add your mushrooms and garlic! Sprinkle with garlic salt and pepper to taste. 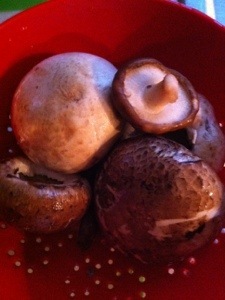 Cook until mushrooms soften and the garlic is fragrant. You can even put a lid on them and turn the heat off until your polenta is done. 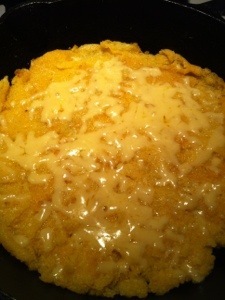 While the polenta was cooking I kept mushing it and flipping it until it softened into on giant yellow mat. Once it appears crispy-ish sprinkle cheddar cheese on the top! And it’s done. The cooking time for the polenta probably took 15 minutes total. 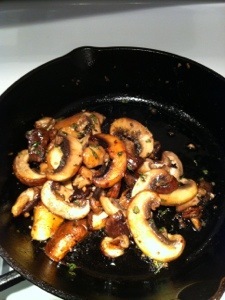 When the polenta is done, add a sprinkle of parsley and a squeeze of lemon juice to the mushrooms. Then all you do is dish up the polenta and top it with the mushrooms. We had it with fried potatoes and carrots. 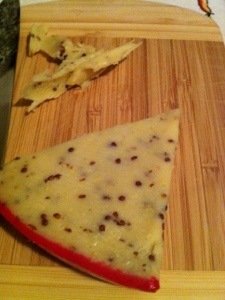 And we also tried “dragon” cheese at dinner. Who knew we could be so brave and fearless in one night!